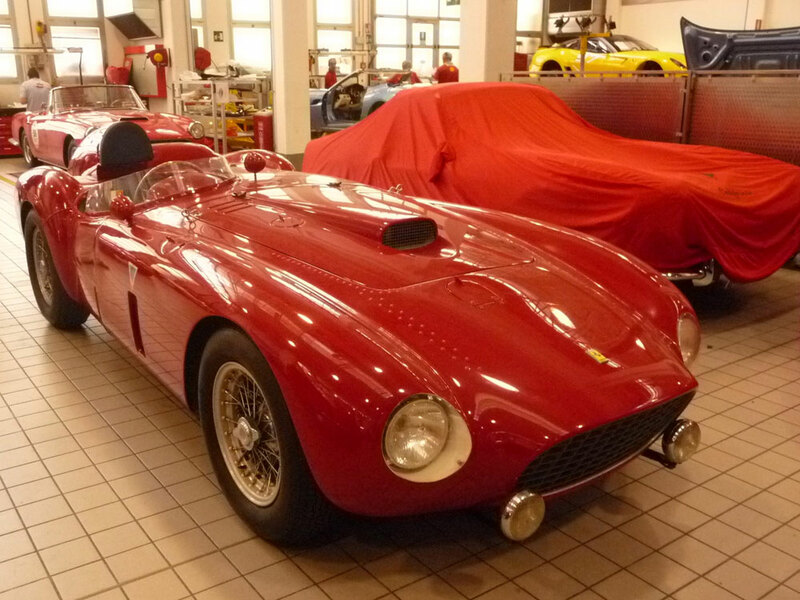 Race Car Driver Sues For Title Of Stolen Rare Ferrari The 1954 car, which could be worth $15 million, was stolen from a Cincinnati collector and ended up in Europe. Jacques Swaters says he bought it from a trader and then paid the original owner $600,000 when he learned it was stolen. The owner's daughter says her father never received a cent. The Ferrari 375 Plus during its heyday. An Ohio judge could decide as early as Thursday whether a Belgian race car driver and collector has any rights to one of the world's rarest of race cars or whether it belongs to a Cincinnati woman whose father first bought it in the 1950s. Right now, collector Jacques Swaters has possession of the 1954 Ferrari 375 Plus -- which could be worth as much as $15 million. But Karl Kleve's family has the title and spare parts to it in Cincinnati. Swaters, 84, says he restored it from a burned-out shell. It's now a shiny red one-seat convertible with lots of chrome. "Oh, I've done a terrific job on the car," he said. "We've been working for many, many years to restore the car. The company made only six of them, and just four of them are thought to still exist. 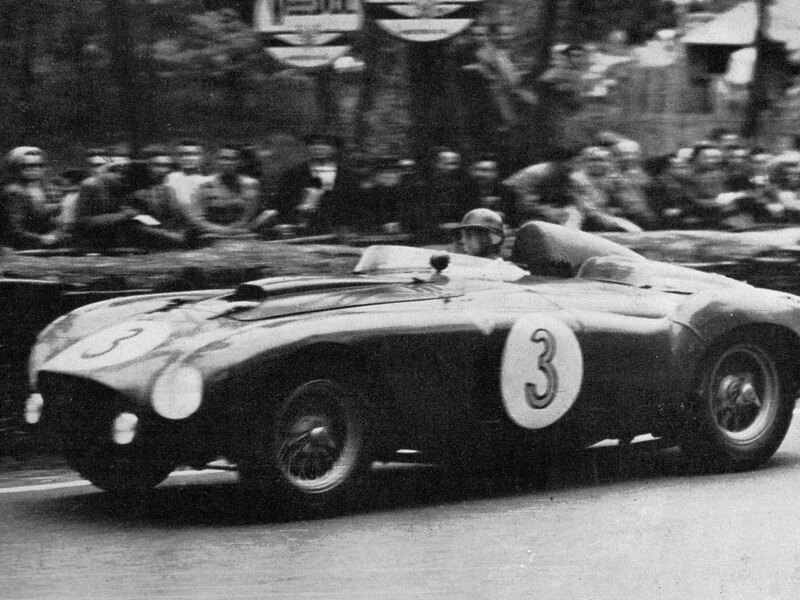 In its time, the Ferrari 375 Plus was the fastest car on the track. Kleve's daughter, Kristi Kleve Lawson, says the car was stored outdoors in a Cincinnati lot with a hundred other old cars. She says her dad knew the car was valuable when he bought it in 1958 for $2,500. 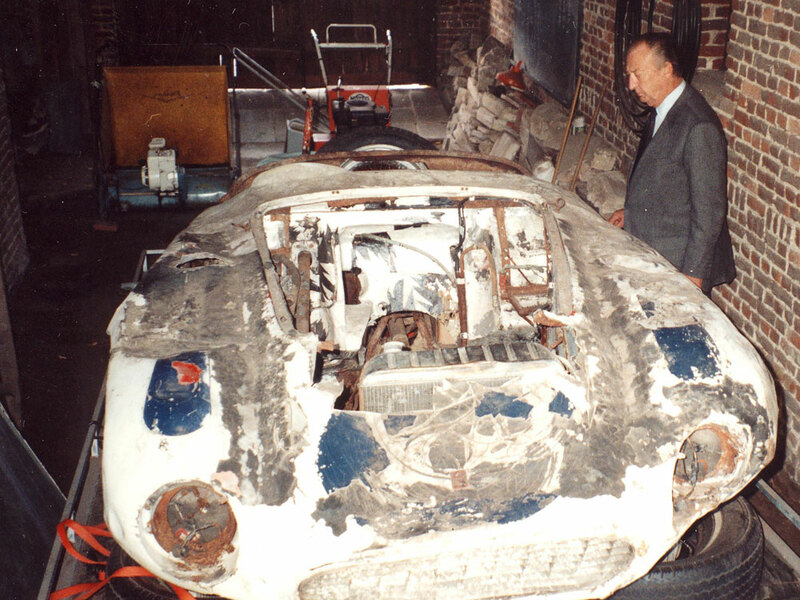 Jacques Swaters looks over the shell of the car when he bought it in 1990. "He collected Duesenbergs; he collected Rolls-Royces. I know he had at least a dozen," she says. In 1988, Kleve discovered the Ferrari was stolen. Two Cincinnati men were later convicted of the crime, but the car had disappeared. Lawson says her dad searched for it for years, eventually tracking it down in Belgium. This is where the case gets a little more complicated. Lawson says Interpol got involved and convinced Belgium authorities that the car was stolen. She says it was eventually released to Swaters. But Swaters tells a different story: He says in 1990 a trader sold it to him for $100,000. "I was very interested because it was a very famous car," he says, "and then a little later I learned the car had been stolen, so I charged a lawyer to negotiate with the owner to make a settlement." Swaters says he paid Kleve more than $600,000 for the car, and that Kleve cashed the check. Kleve's daughter says her father never received any money, and if Swaters has a canceled check, her dad's signature must have been forged. She says finding the car had become an obsession for him. "This was his biggest project," she says. "By the time he passed away, he said this was the greatest auto theft that had ever occurred." The Ferrari following extensive restoration. Lawson's attorney Daniel Randolph says Swaters' lawsuit, which accuses Lawson of failing to transfer the title to him, should be dismissed. "We think it's not only unfair; we think it's a case of a person who's alleged to have millions and millions of dollars taking an anvil and trying to go after a Hamilton County resident," he says. "Kristi works two jobs to help her family continue to function as a family." Cincinnati judge Norbert Nadel will decide whether the statute of limitations has run out in the case and if this very famous and valuable car must be returned to Ohio. Ann Thompson reports for member station WVXU in Cincinnati.